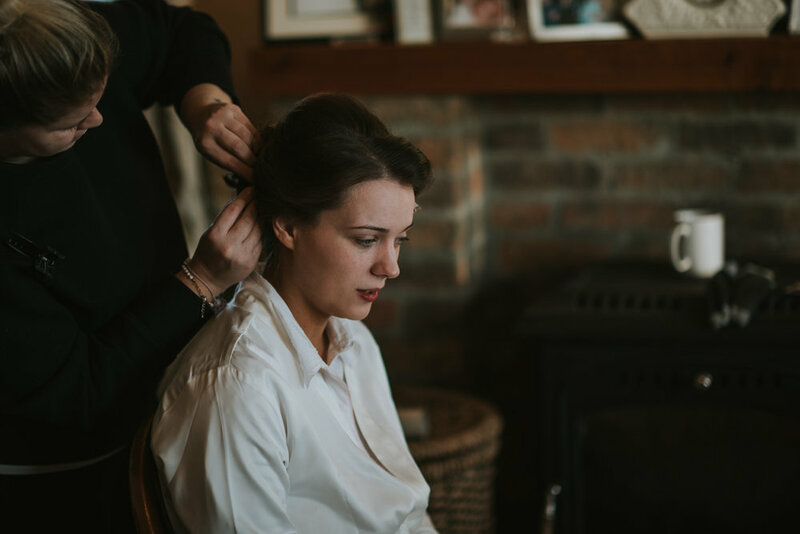 Roisin & Dale got married on the 10th of November at St. Mary’s church just outside of Augher. 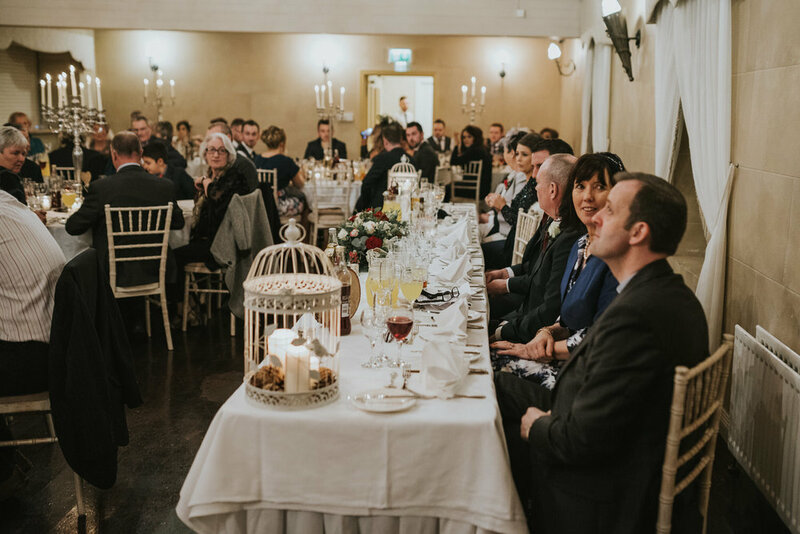 After the ceremony, the reception was held at the Tullylagan Country House Hotel in Cookstown. 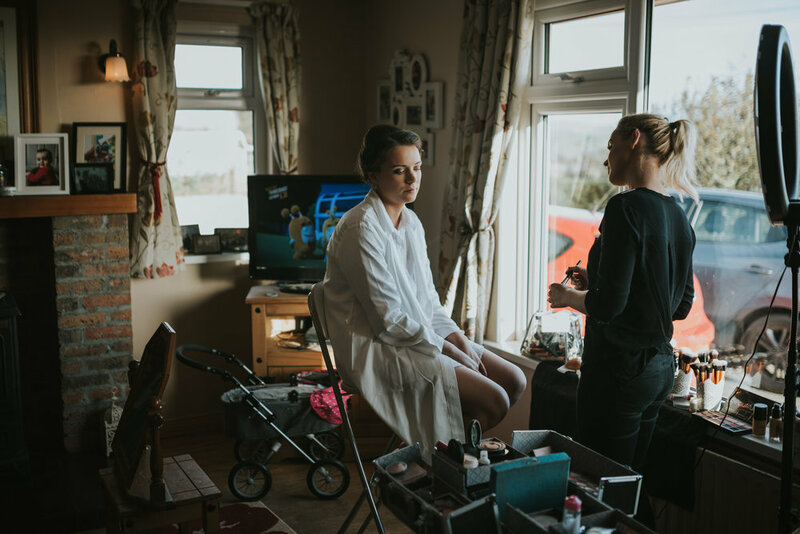 First thing in the morning, we made the trip to Enniskillen to photograph Roisin and her bridesmaids getting ready. 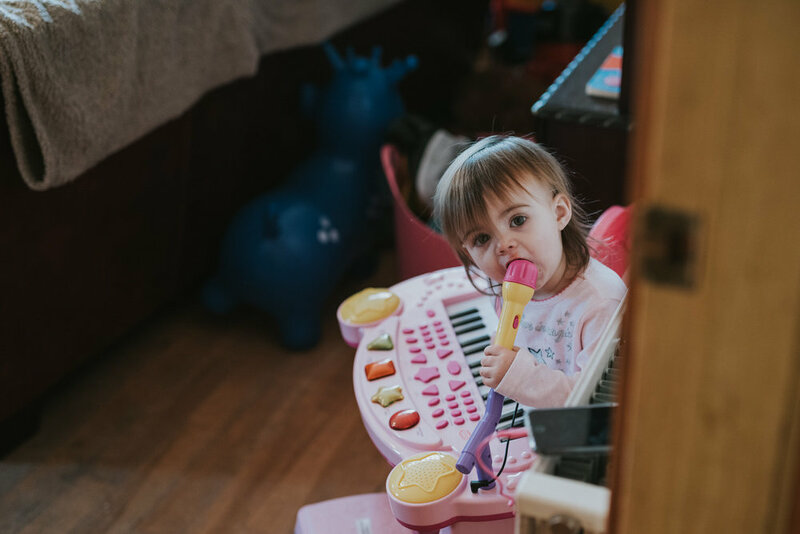 It was a fun and relaxed morning with Roisin & Dale’s young daughter Ella keeping everyone entertained. The entire morning was well organised and everyone was ready with plenty of time to spare. 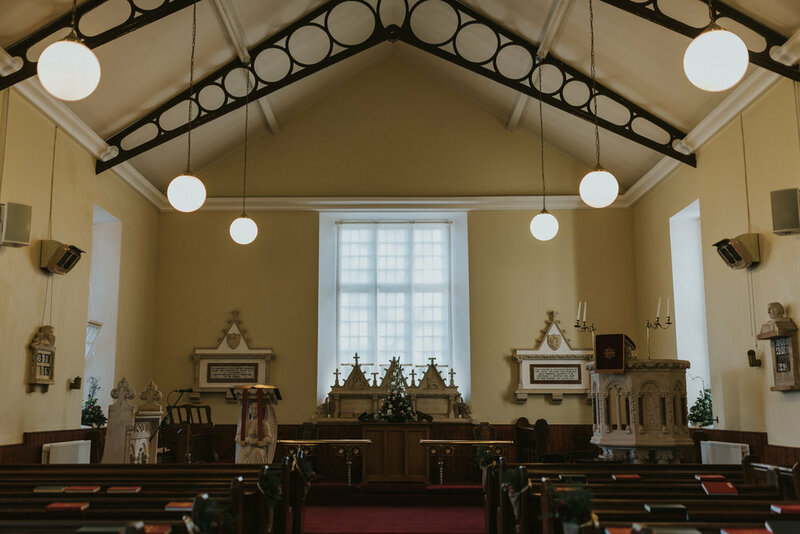 After leaving the ladies, we made our way over to St. Mary’s, a beautiful early 1800’s church just outside of Augher to meet up with Dale and his groomsmen. After seeing the church, we were both excited to photograph the ceremony but unfortunately when the Minister arrived he explained that he does not allow any type of photography. We explained that we are both very unobtrusive during the ceremony and he did agree to relent slightly allowing us to take a photograph of Roisin coming down the aisle and a couple of photographs while the hymns were sung on the understanding that we both stayed at the back of the church. 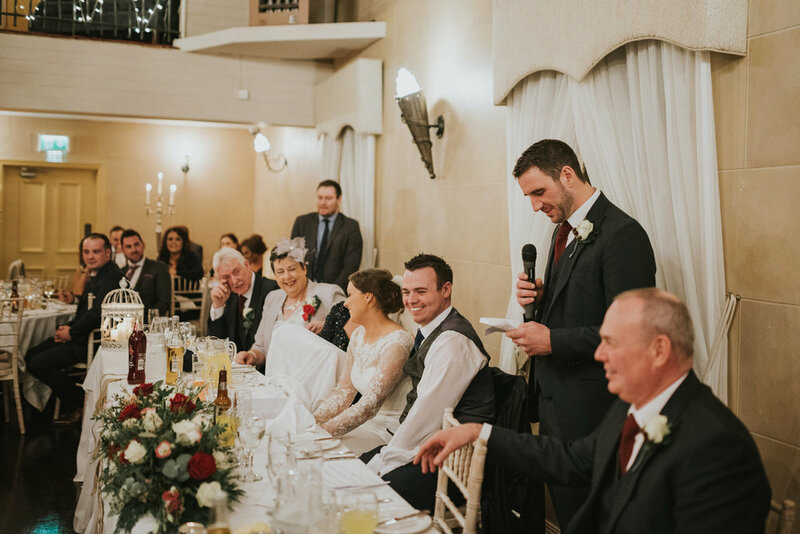 Having photographed many different types of religious and civil ceremonies this was the first time we have come across this ourselves, although we know of other photographers who have had this happen as well. 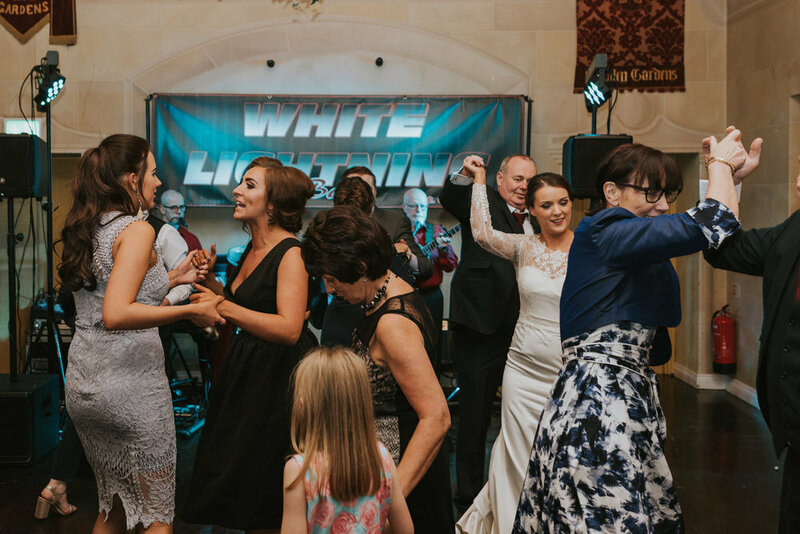 Roisin & Dale were aware of this before the wedding, so thankfully it was not an issue on the day. 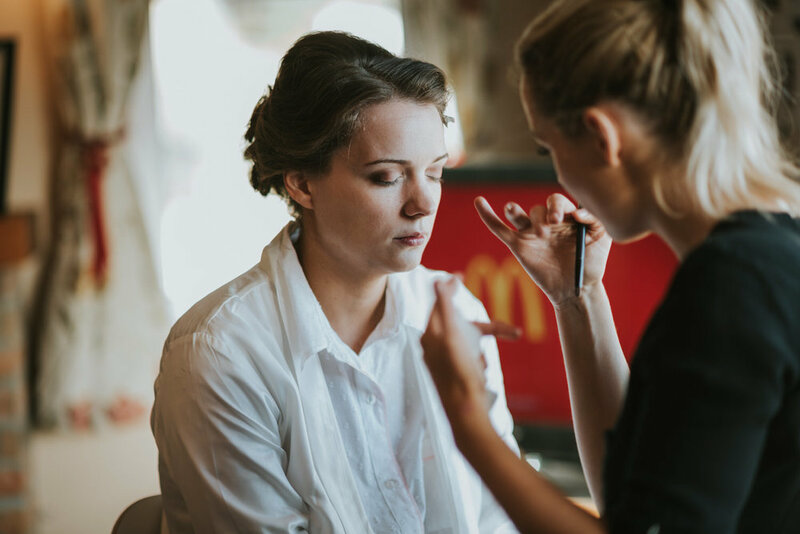 Top tip for anyone reading this and still in the planning stages for their own wedding. 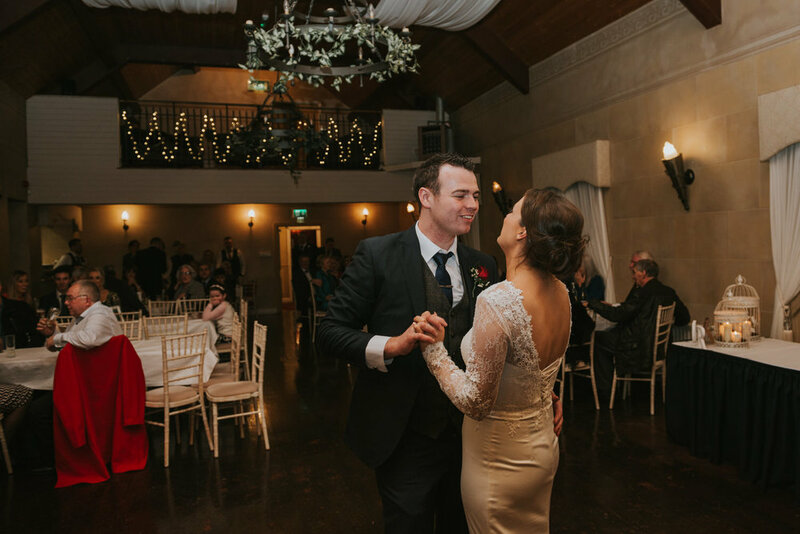 It is always a good idea when you arrange for the officiant or celebrant for your wedding that you have a chat with them about their preferences in terms of your photographer and videographer. While it is unusual for them to ban any type of photography, it can happen. 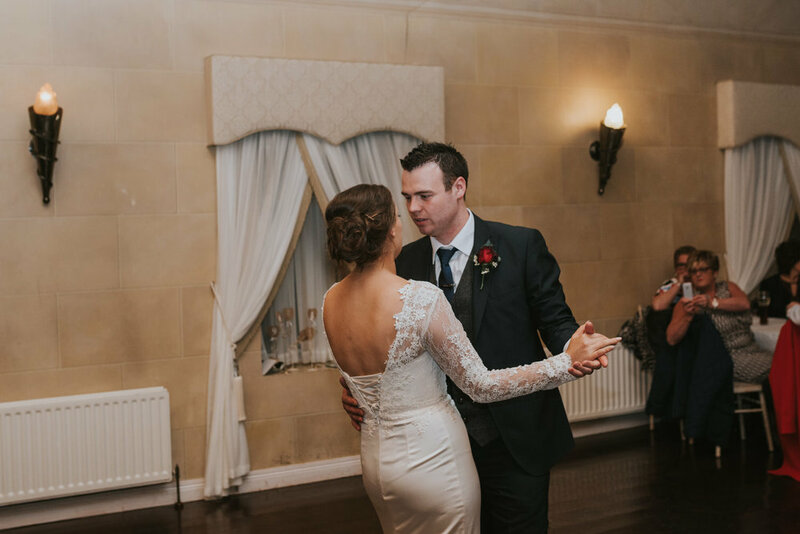 For religious ceremonies in particular, it is not uncommon for them to have some rules that they will want your photographer or videographer to follow. 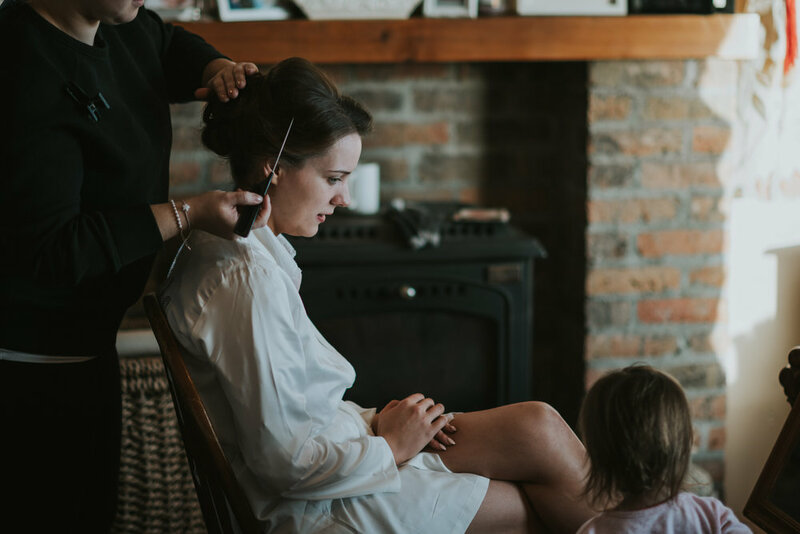 It is always better to know these in advance so that you can make sure this fits in with how you see your wedding being captured before you decide to book with them. On arriving at Tullylagan we were both really pleased that even this late in the year that there was plenty of autumn colour around. 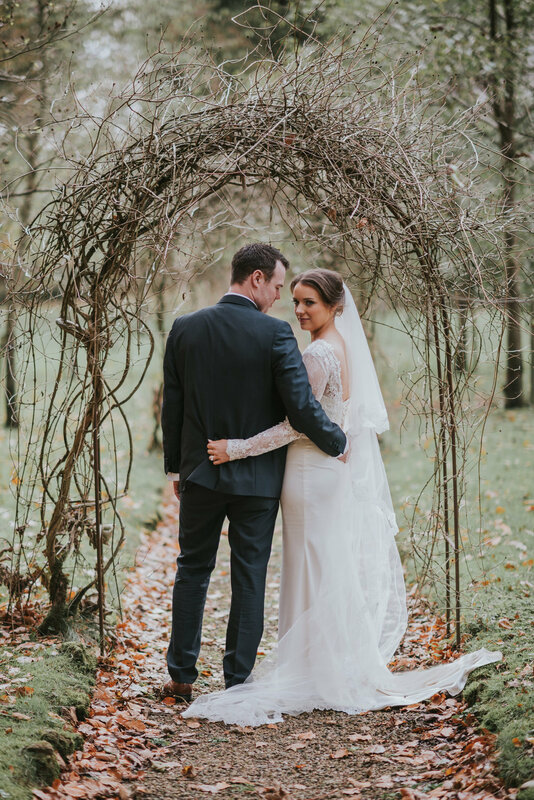 Roisin had mentioned that autumn is her favourite time of the year and every wedding photographer in Northern Ireland loves autumn. 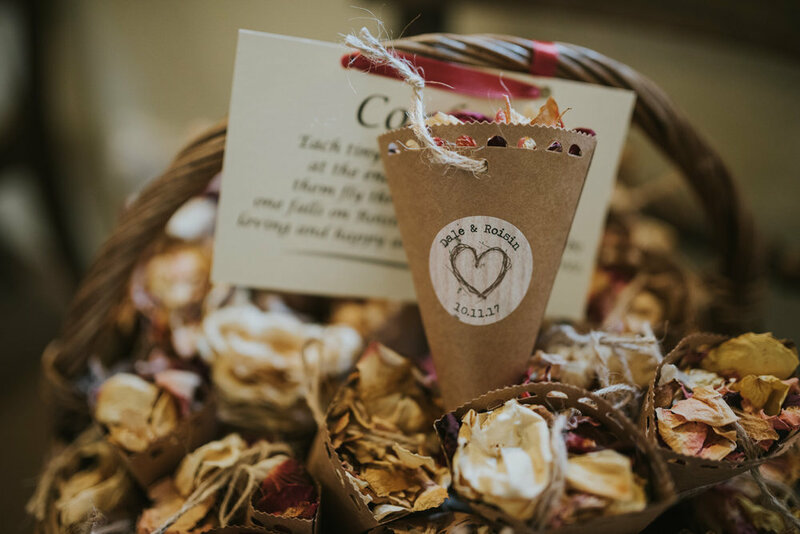 We loved how they incorporated autumn into their wedding including the amazing autumn leaves confetti. 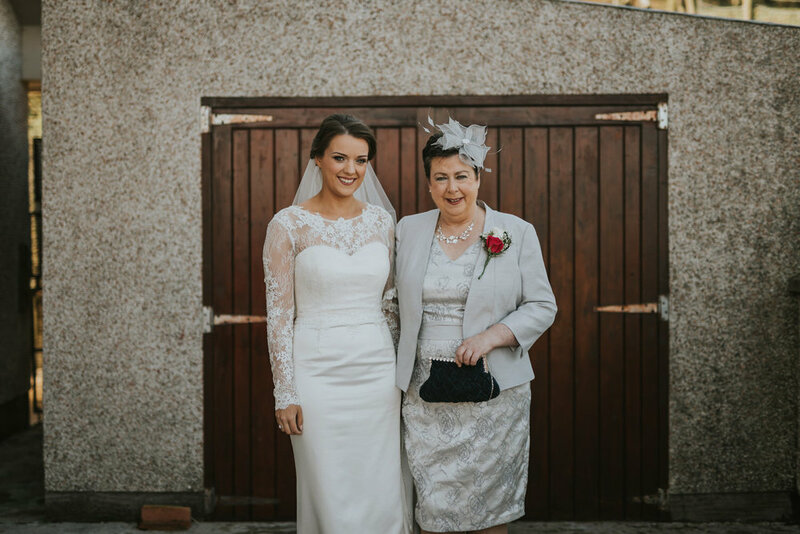 We have photographed a few weddings at Tullylagan and the grounds here are wonderful for wedding photography. Returning to this venue also gave us a chance to play fetch with our wee mate Fitz, the hotel’s very friendly dog. 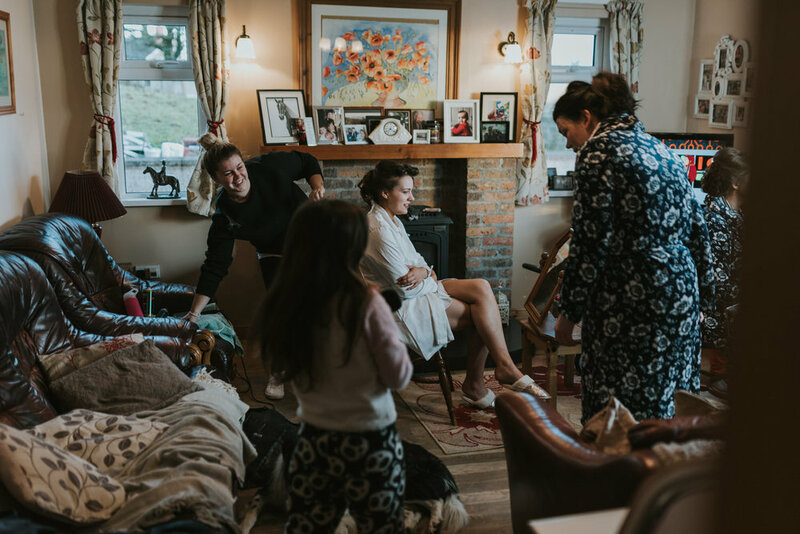 If you are looking for a Tullylagan Country House Hotel wedding photographer do check out this other wedding.